Static Galleries allow you to upload images to be displayed as thumbnails, which when clicked show the full size image in a window. 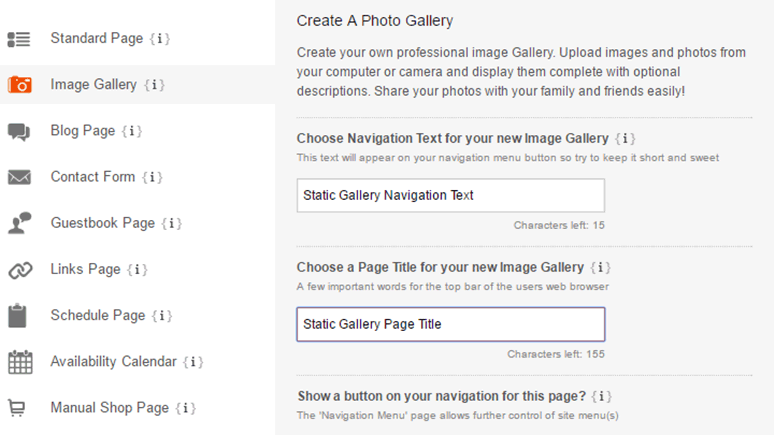 Step 7: If you just want to use the default gallery layout, click Finish. 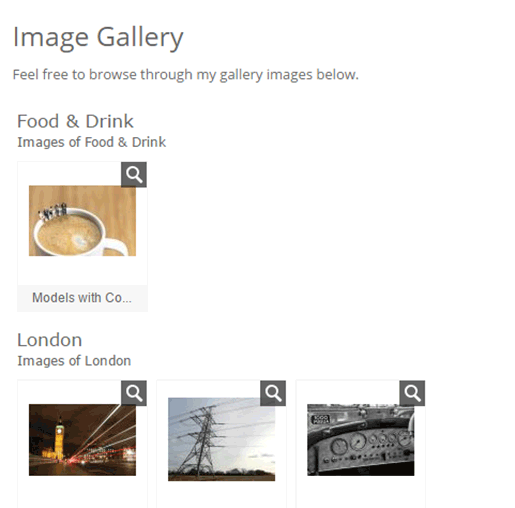 To choose a different layout, click the Gallery Style Drop-Down Menu. There are 3 options for using a Standard Gallery - Classic, Grid Layout & Large Captions. You can also choose a Slideshow Gallery layout; take a look at our Slideshow Gallery Tutorial to find out more. 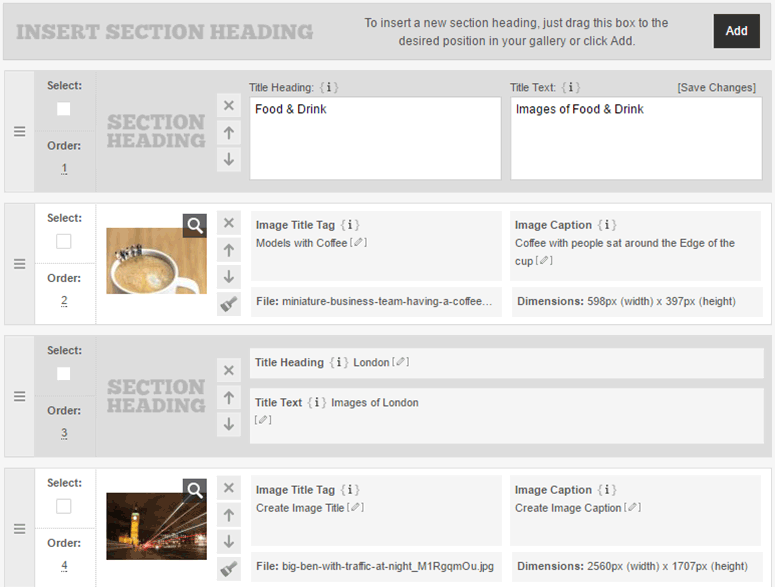 This is the default layout, there are no further options for customisation. An example of the Classic Layout with the Section Headings breaking up your images into smaller groups with a heading & subheading can be seen below. This places your images in a grid format. You can customise this layout and select how many images you want to display per row. An example of the Grid Layout, set to display 2 images per row can be seen below. 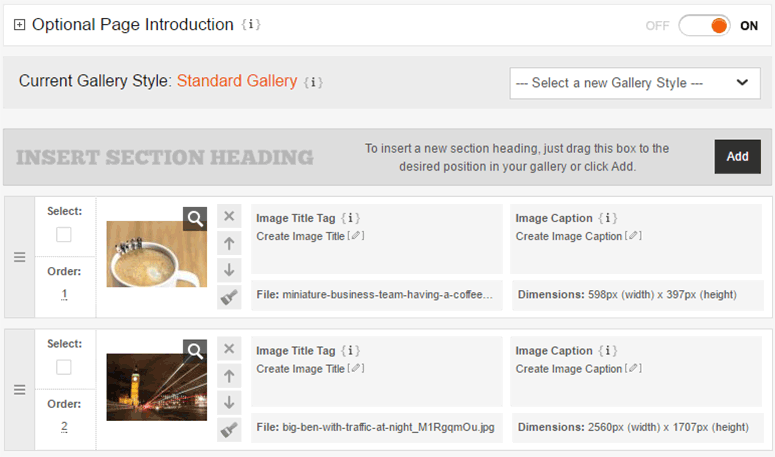 This is useful if you want to include longer descriptions next to your images, this layout displays your Image Title & Caption next to your image. You can choose to align your images to the left, right or alternate sides. 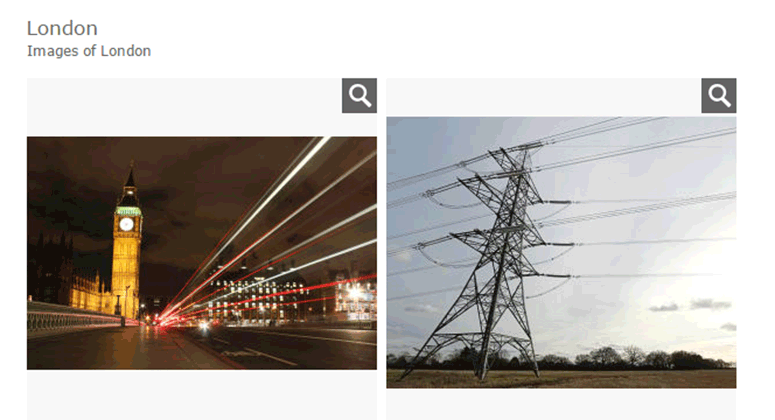 An example of the Large Captions Layout with the images aligned to the left can be seen below. 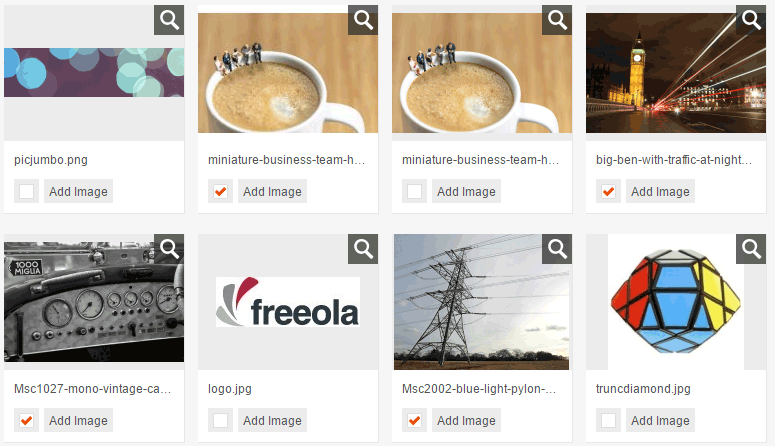 Now you have uploaded, named and organised your images and chosen your layout, click Finish.